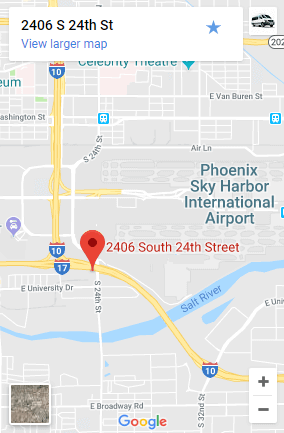 Lake Havasu to Phoenix shuttles include Airport Shuttle of Phoenix and Lake Havasu Shuttle, which are actually the same company. You can call them at (480) 757-3010. The only other option to get to and from Lake Havasu is the Greyhound since Uber and Lyft won't go that far. The ride on the Greyhound takes about 7 hours if you're on a budget. Airport Shuttle of Phoenix is affordable and has similar pricing to Uber and Lyft. The ride with them only takes about 3 hours and 8 minutes. You might be thinking, I'll just get a rental car, but that won't actually save you money because all the rental car companies charge an extra $150 to $250 to drop off the car at a different location. This means you'll end up having to pay for a bunch of additional days, taxes and gas until you drive the car back. Plus the airport is confusing and the rental car terminal is not in the airport, so plan on spending another hour of two to drop off the car and get to the airport. 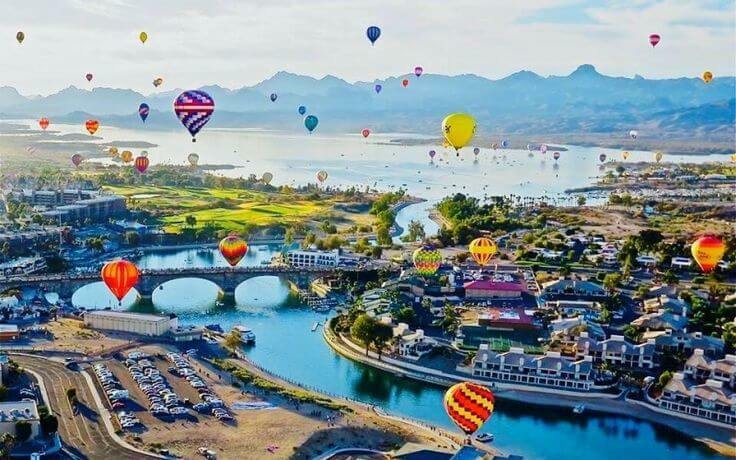 The picture above is the balloon festival in Lake Havasu City, AZ. Lake Havasu has a reputation for being a spring break town that's much safer than going to Rocky Point in Mexico. They have beautiful waterfalls and rivers with light blue water. It's a popular place for standing on a board and floating down the river with a paddle. You can find all kinds of amazing pictures online of Lake Havasu and the surrounding area. Our shuttle service operates 24/7 and we provide door to door service. In other words we can pick you up and drop you off anywhere in Arizona. We can take you from any location in Lake Havasu to Phoenix anytime. It's always a good idea to make a reservation ahead of time to prevent any delays and it's much easier to find a driver if it's not last minute. Rides with us are normally non-stop in a nicer vehicle like a Mercedes, Lexus, Lincoln or Chrysler. We have great drivers that are safe and reliable. They also go through full background checks with the airport that include fingerprints and are done by actual law enforcement. We are a much more convenient option than taking the bus and no one wants to have to wait for 7 hours to get somewhere. Plus the bus is frequently late and you could miss your flight. Call us if you want to have a great experience.